Are You Ready to Handle the Money Thing Once and For All? 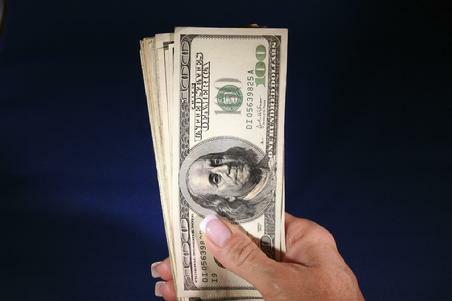 You worry about running out of money and find that you are becoming stingier and stingier? You have no idea how much money would allow you to feel financially secure? You'd rather not think about money at all? You have only a vague idea of how much money you have and/or spend? You stuff your bank and credit card statements in your drawer without looking at them? You believe you just don't have the skills, experience or talents to ever make more money? These Clients Turned Scarcity Into Prosperity. Why Not You? Note: The gender, titles, locations and circumstances have been altered slightly to protect the confidentiality of the client. Individual results will vary depending upon motivation, commitment and actions taken. 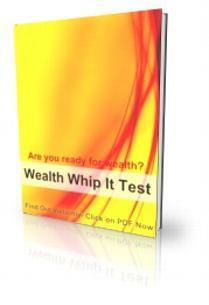 Take this WEALTH WHIP IT TEST now and find out if you are ready to create abundance for yourself. You can't change what you don't know. Are you ready to face your money reality? Take the test below to find out. Subscribe Now to F-R-E-E Monthly Peace and Passion Ezine. You'll receive practical tips and tools to make your life easier and more manageable, plus pre-launch notice of new products and services, with special bonus offers for ezine subscribers. Your privacy is guaranteed. We do not sell or distribute email addresses to anyone. You may unsubscribe at any time.